Juliane and the Jacob family quickly found a common ground. 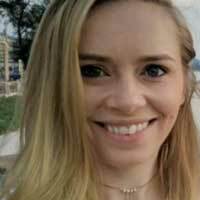 When au pair Juliane left Germany to move to Raleigh, North Carolina with her host family, she didn’t know what to expect. What would she and her host family, the Jacobs, have in common? Within a few weeks of Juliane’s arrival, the Jacobs invited her to attend an ice hockey game. Host mom Megan tells us what happened next. Hockey has been something our family has watched for many years. 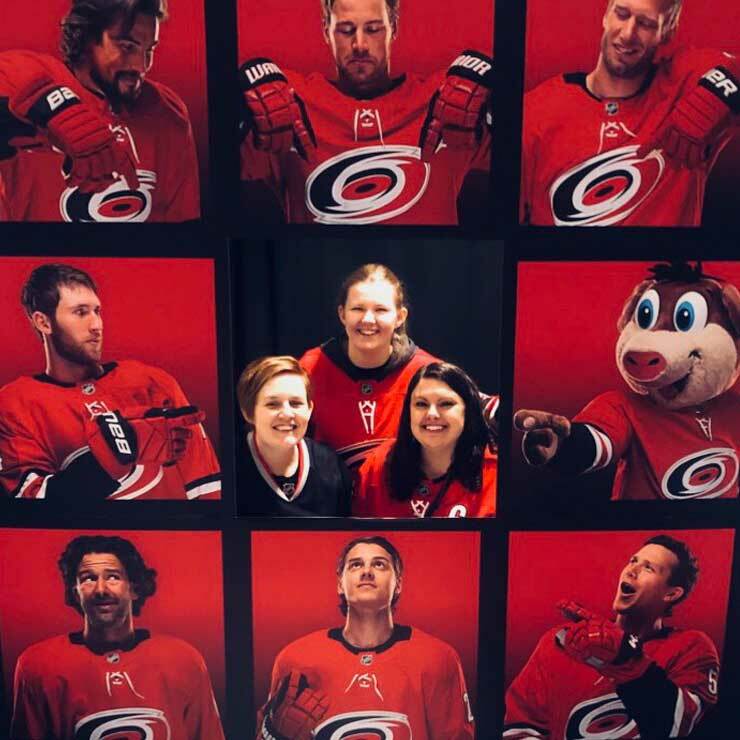 Ever since we have been in Raleigh, we have closely followed the Carolina Hurricanes. Last summer, my girls started playing hockey thru a program for first-time players. For Zoey's ninth birthday in early October, she asked to go to the first home game for the Hurricanes, so Juliane and I took her. It was a very tight game, and the Hurricanes pulled it out in dramatic fashion. I could tell during and after the game how much Juliane had enjoyed it! After that first game, Juliane really took it upon herself to read, learn, and understand ice hockey. It is truly amazing how well she understands plays developing or small logistical details for someone who has only watched it for five months! Juliane always comes down to watch the game with us as a family when it is on television, and we will have attended at least twelve games together by the end of the season. Juliane had fun learning all she could about hockey. 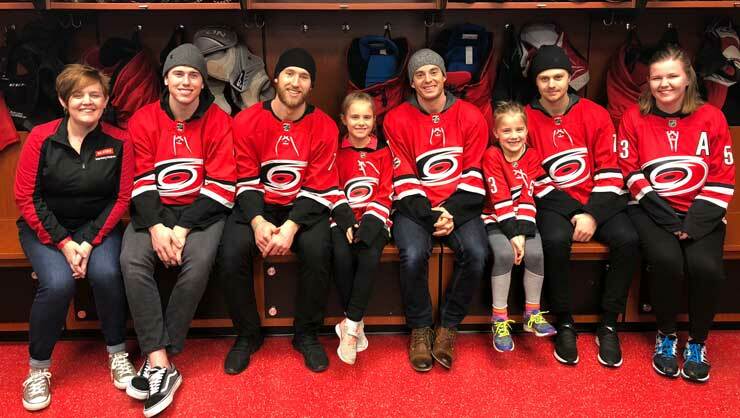 At the end of the year, we attended an event called Skating with the Hurricanes. It ended up being a highlight of our holiday season! We purchased tickets to the event as a Christmas present to our family and because we knew it would mean so much to Juliane. 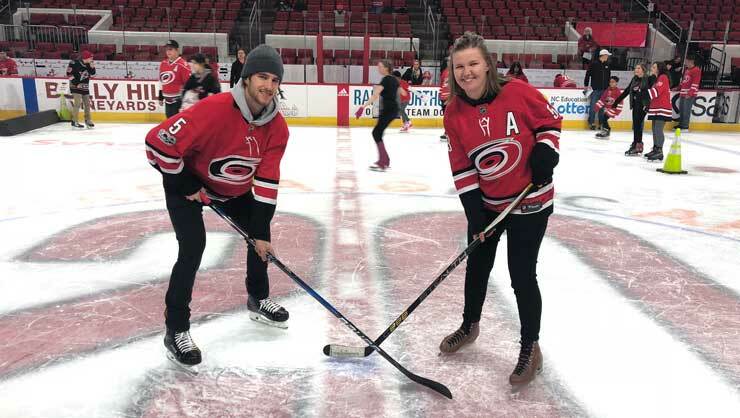 At the event, we spent time skating on the National Hockey League (NHL) ice rink, getting autographs, visiting the locker room, and taking pictures with professional NHL players! It was so cool! Very good memories that also made an impression when watching subsequent games. The Jacobs and Juliane even got to meet their favorite team. The best part of Juliane joining us at games is seeing her new experiences - new foods (admittedly some better than others), new cheers, new vantage points. I love it when she joins us jumping up after a goal has been scored. It has also been interesting for us to discuss the American pride on display at US sporting events! It has been fun to see her passion grow and it is definitely something that has made the bond with our family and especially the children deeper. Paul and I are grateful that she has embraced our passion, and it is something we can all do or talk about together. We are so excited that Juliane has become a "Caniac"! Lots of laughs were had by all. 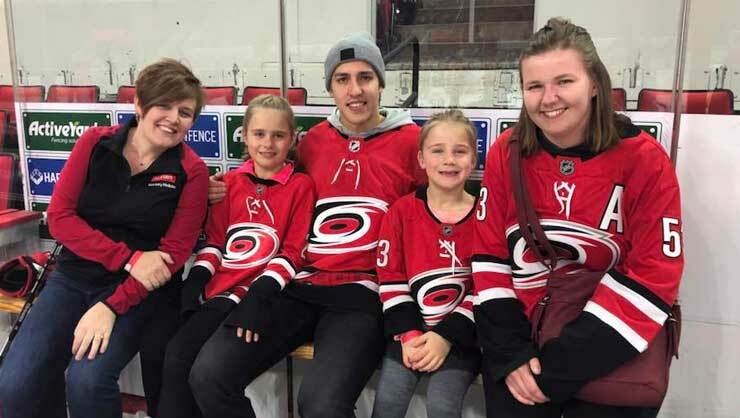 The common ground between cultures is often found in unexpected places, and for the Jacob family and their au pair Juliane, it was ice hockey. If you’re a host family or an au pair, we encourage we to take some extra time this month to find an activity that you love to do together. It will make your au pair year that much sweeter!